As the Turkish people clash with authorities, the world rises in solidarity. A relatively small protest at Turkey’s Gezi Park to prevent the ripping out of trees to make way for the building of a shopping mall has erupted into an uprising in which over 1,900 people have been arrested and reports of 1,700 more injured. 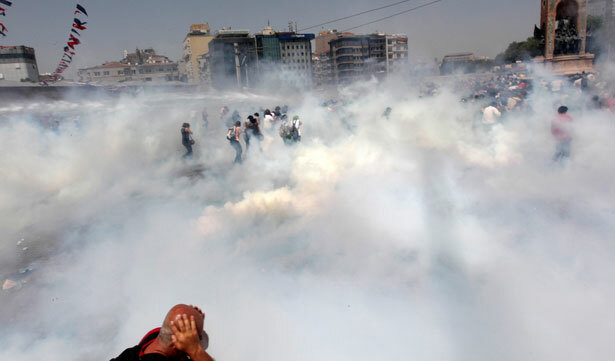 Protesters say the harsh treatment by police, such as shooting tear gas and water cannons at protesters, is just one more symptom of Prime Minister Erdogan’s authoritarian rule. Iconic images of Turkey’s uprising quickly appeared on the Internet. There was the image of a young woman defiantly kicking back a tear gas canister toward police, and a young man casually strumming his guitar as he approaches a wall of officers. Then there was the incredible photo of another youth standing upon a flattened improvised barricade, waving Turkey’s flag, reminiscent of Enjolras’ last stand. Occupy Wall Street showed its support when hundreds of protesters gathered at Zuccotti Park, a k a Liberty Park, over the weekend. The “peaceful international solidarity event” is being held “with the goal to direct public attention to Istanbul Gezi Park protests and consequent police brutality of AKP/Erdogan government!” Occupy Wall Street announced. Overall, the social media response to the protests has been staggering. Between Friday and Saturday, at least 2 million tweets mentioning hashtags related to the protest (#direngezipark, #occupygezi, #geziparki) were sent. At one point, more than 3,000 tweets about the protest were published every minute. Making a small concession, Erdogan did admit the police had made “mistakes” in their initial response. What’s clear is that Twitter is certainly a menace to unchecked power, and those who wield that power against citizens. Al Jazeera reports that what makes this social media phenomenon especially unique is that unlike some other recent uprisings, around 90 percent of all geolocated tweets came from Turkey and about 50 percent from within Istanbul. For comparison, only 30 percent of those tweeting during the Egyptian revolution were actually in the country. Approximately 88 percent of the tweets are in Turkish, suggesting the audience of the tweets are other Turkish citizens and not the international community. Al Jazeera speculates that Turkish protesters are replacing traditional reporting with crowd-sources accounts of the protest due to being unsatisfied with the local media’s coverage of the uprising. In addition to being a tool for reporting, Twitter has allowed activists to share information about resisting police brutality. 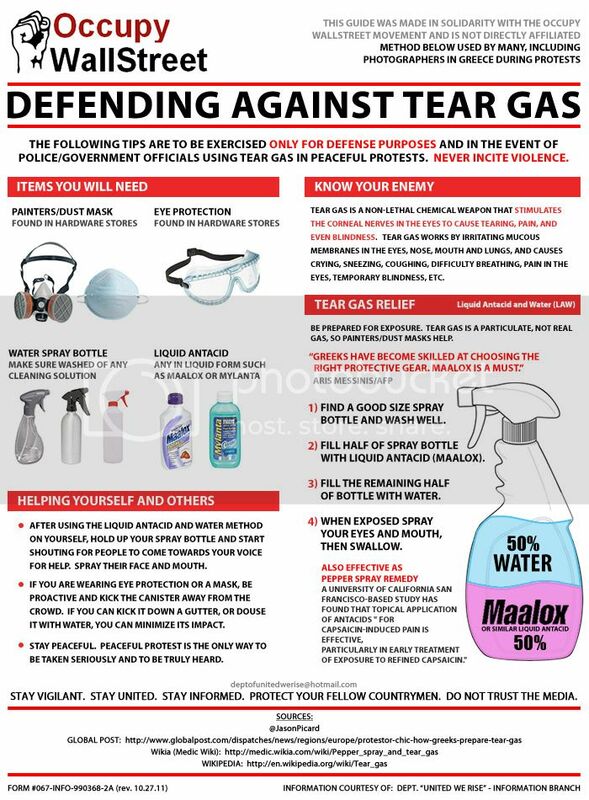 Under the Turkey subcategory on Reddit, a user posted an Occupy Wall Street guide to defending against teargas for Turkish activists. Over the weekend, numerous countries expressed support for Turkey’s protesters. Turkish nationals gathered in front of the EU Parliament in Brussels to protest against police violence in Turkey, many chanting anti-government protests and holding up banners. Similar rallies took place in London, Egypt, Canada, Helsinki and outside the Turkish Embassy in Nicosia, Cyprus. The ripple effect continued to Amsterdam and Germany, with its significant Turkish population. Protesters in Besiktas district tore up paving stones in order to build barricades, and police responded with tear gas and water cannons. Mosques, shops and a university in Besiktas have been turned into makeshift hospitals for those injured in demonstrations. Witnesses say the protesters were coughing violently and vomiting after police fired tear gas canisters into the crowd. What’s next for Bradley Manning? Read Greg Mitchell’s take.